It’s been long.. very long. To make up for all my absence, I have come out of my hibernation today with a delicious treat. I have been planning to make this for some time. 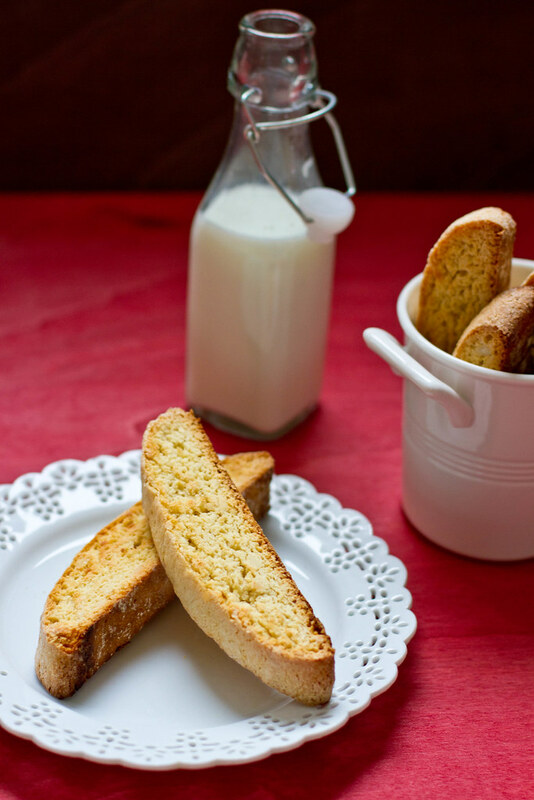 It has been getting very cold these days and these delicious biscotti go perfectly with hot Tea or Coffee in the evenings. Spread the almond pieces in the baking sheet and toast them till they are light golden color. Remove keep aside to cool. In bowl sift together flour, baking powder and salt. Add in almonds and mix. Add in vanilla and almond extract and beat for another one min. Now pour the egg mixture into the flour mixture and mix gently till everything comes together. You will get a soft sticky dough. Take generous amount of flour and flour the working surface. Dump the dough on to the floured surface and gently roll it into a log. Transfer the dough log on to the baking sheet and gently tap it to get a flat rectangular shape which is approximately 3 inches wide and 11 inches long. Put the baking sheet in the oven and bake it for 30 mins. 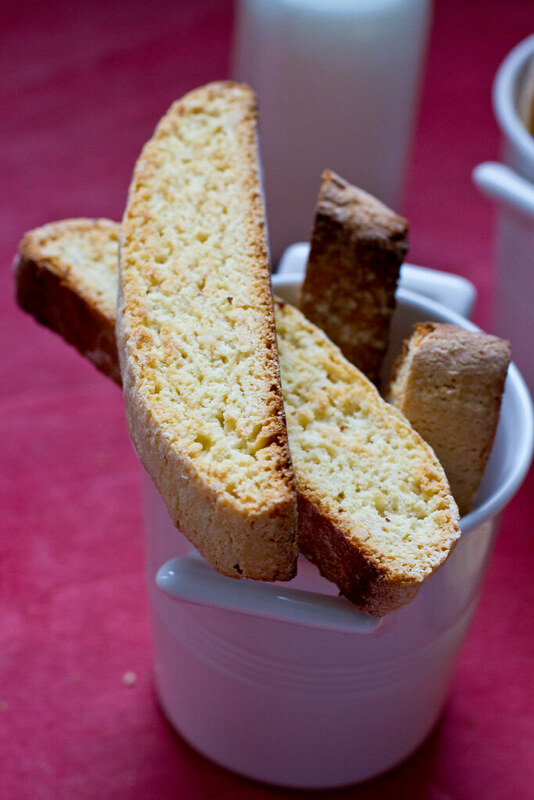 Remove from oven, the biscotti should be light brown to the ends and firm to touch. Let it cool for 10 mins and then cut it into pieces of 1/2 to 1 inch wide. Place the pieces again in the baking sheet and bake for 5 to 8 mins. Remove and flip the biscotti pieces to other side and bake again for 5 to 8 mins. Remove and let them cool completely. 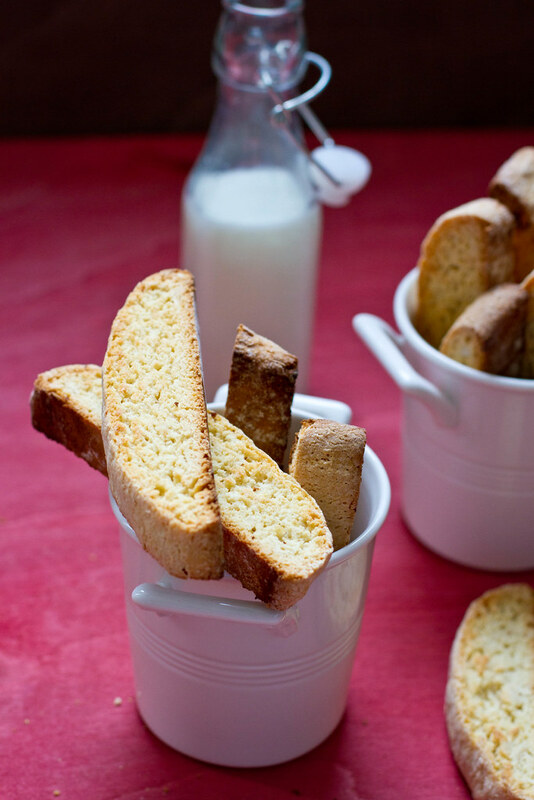 Crunch and delicious biscotti. Perfectly done dear. it looks mouth watering….amazing clicks..